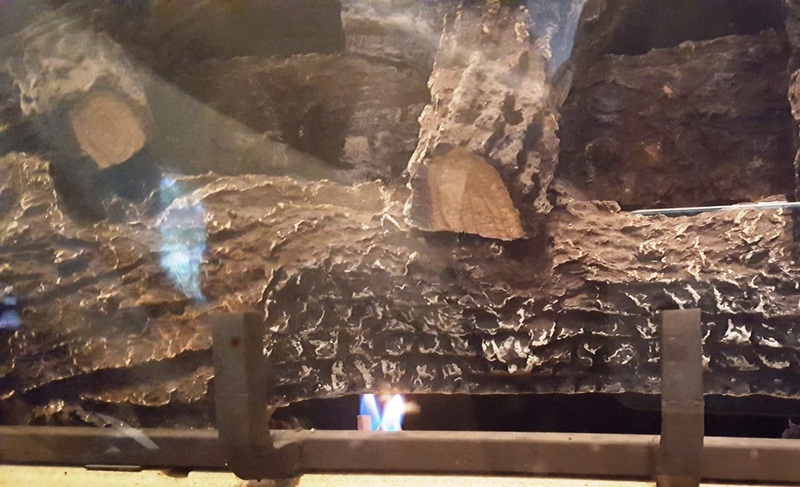 There are two fireplaces: One in the Master Bedroom and one in the Living Room. They should be ready for you. All you should need to do it flip the switch to "on." 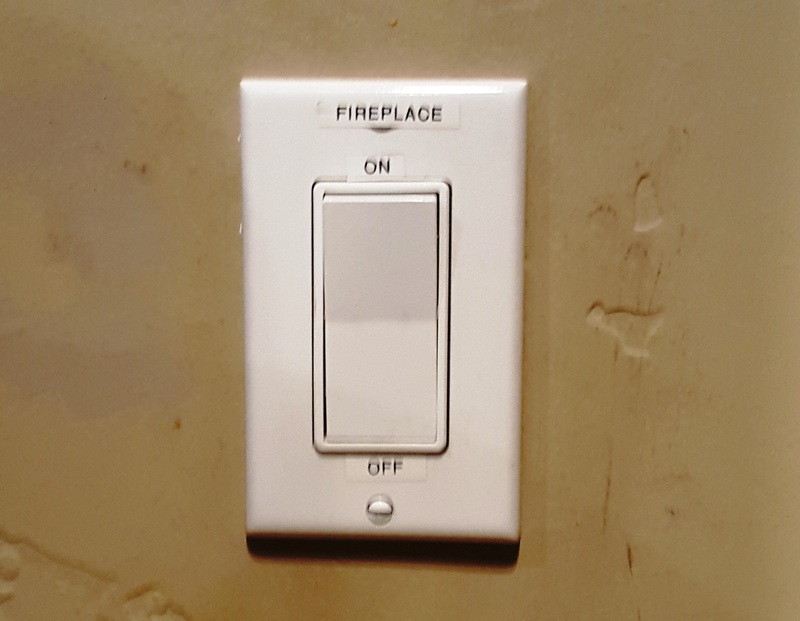 The switches are mounted on the wall, just to the left of each fireplace. If not, check the control settings below. 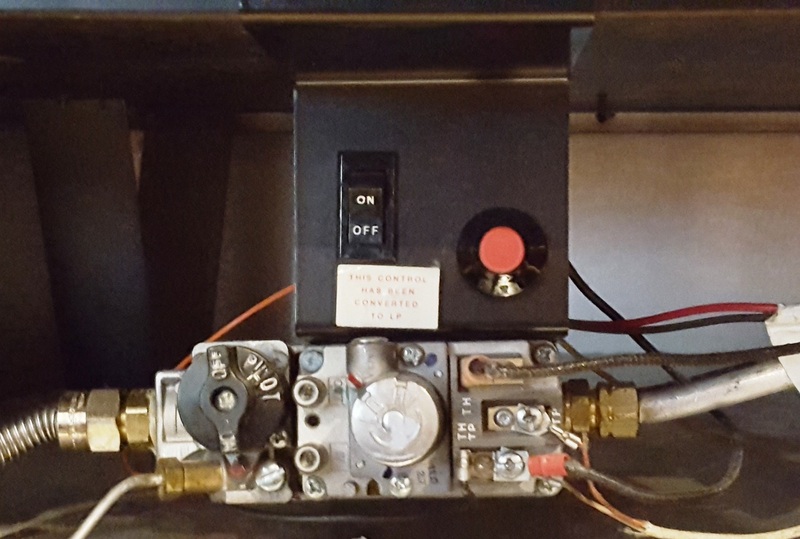 These controls are hidden behind a black slat panel below the fireplace. 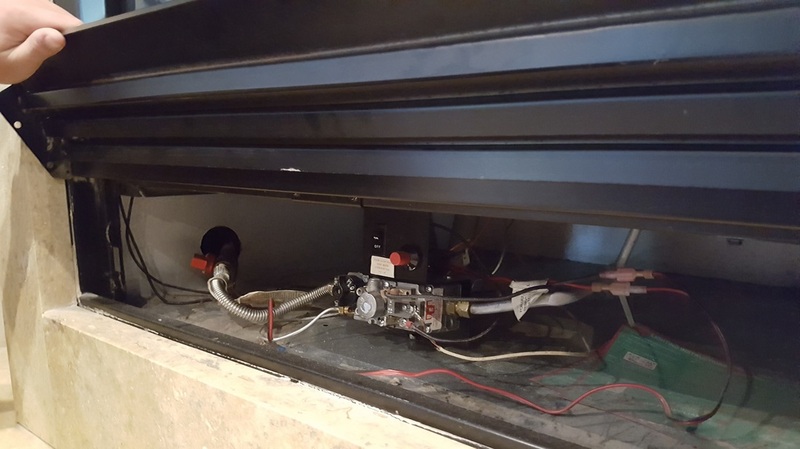 Open up the black slatted panel under the fireplace to take a look at the fireplace controls. 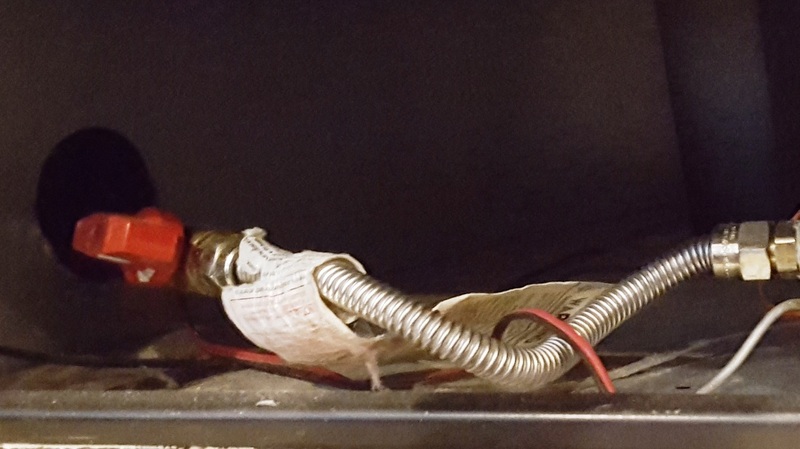 The red gas control handle should be turned horizontally, and 'in line' with the gas line. The round knob should be turned to "pilot." Hold the round black knob in while pressing the red button. Hold the black knob for at least 20 seconds.